Is there any paperwork or document for the mechanical systems of 4911 Concession Rd 7 Rd, Adjala Tosorontio, Ontario? I need more information about the property at 4911 Concession Rd 7 Rd, Adjala Tosorontio, Ontario. 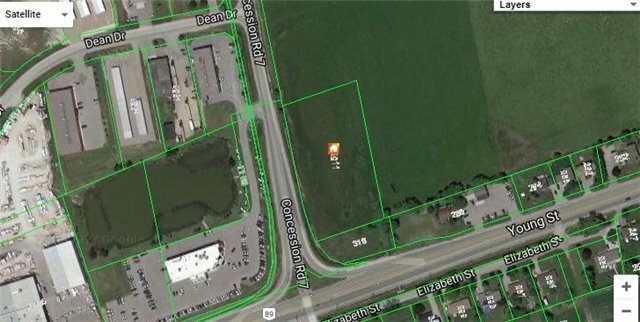 How ist the neighborhood, location and nearby amenities for 4911 Concession Rd 7 Rd, Adjala Tosorontio, Ontario? I have questions about the roof, foundation, insulations and mechanical issues of 4911 Concession Rd 7 Rd, Adjala Tosorontio, Ontario? I need more information about property details. What's wrong with this house? Is this a short sale? Is there any maintenance for 4911 Concession Rd 7 Rd, Adjala Tosorontio, Ontario? What is this property worth in today's market? What are "closing costs", and how much? What steps should I take when looking for a home loan? What price home can I afford? Is my credit good enough to buy this house? What are the best mortgage options for me? How flexible is the seller on the asking price? How low can I consider offering for 4911 Concession Rd 7 Rd, Adjala Tosorontio, Ontario? Possible Future Development Located On The Edge Of Alliston On The West Side, Just Under 2.5 Aces, Corner Of Highway 89 And Concession 7, Across From Gmc Car Dealership, Earl Rowe Provincial Park And Many Commercial Units, Over 400 Of Frontage, Lots Of Current Development In The Near Area, Alliston Home Of The Honda Plant! Great Long Term Investment Possibilities! Currently Zoned (E-1 Employment) For Many Uses Including: Service Station, Machinery & Equipment Sales, Trucking Operation, Self Storage, Warehouse, Animal Or Veterinary Clinic, Distribution Facility, A Welding Or Machine Shop And More!